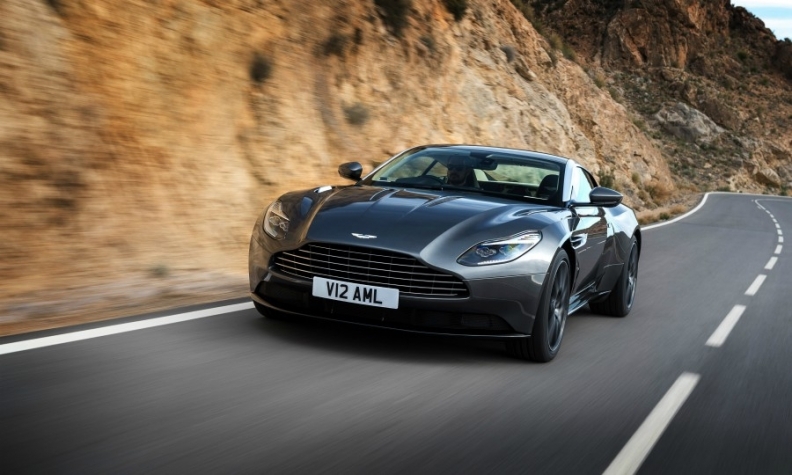 Aston Martin is recalling all DB11s built since the end of 2015. Aston Martin has become the latest automaker to be caught up in a major recall of faulty Daimler steering-column components that can cause unintended airbag deployments. The UK sports-car maker is recalling all 3,873 DB11 coupes built since late 2015, when production of the flagship model began, sources with knowledge of the matter said. Daimler last year recalled more than 1 million Mercedes-Benz cars fitted with steering-column parts also supplied to Aston and Nissan Motor. The Japanese automaker's Infiniti brand recalled 17,500 affected vehicles. Aston Martin spokesman Kevin Watters confirmed the recall when contacted by Reuters and said repairs would be carried out to "address an issue with the DB11 steering column upper." The issue is unrelated to a global recall of faulty Takata airbag inflators that have been blamed for 20 deaths. Mercedes reported "a handful of instances where drivers suffered minor abrasions or bruises" as a result of the problem. No Aston Martin customers have reported any such incidents to date, the company said, adding the necessary repair work would be carried out free of charge in less than two hours.